Home / CULTURE / Mr Gay Europe is on the road! 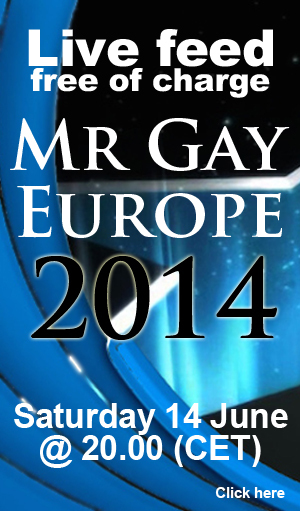 Mr Gay Europe is on the road! Delegates from all over Europe arrived in Vienna to literally start on a journey for the Mr Gay Europe 2014 title. For the first time the delegates will be traveling through the host country in order to get to know the country, to get to know each other, and no doubt get to know themselves; Mr Gay Europe is said to be the toughest job interview in Europe! – We feel very welcome and are impressed by the Austrian hospitality, the president of Mr Gay Europe, Tore Aasheim, says. – We have only stayed for a couple of days but we already feel at home. We are starting on our Austrian tour in Vienna and it is amazing how partners and sponsor, even the city itself by the tourist office are there for us. Mr Gay Europe is purely ran by volunteers, with fantastic producers all over Europe, and we could have not done this work without the support of people that believe in our mission and put cause before cash, Mr. Aasheim comments. Year nine of Mr Gay Europe kicks off with a delegate meet and greet in the Capital of Austria at The Hotel 1060 Vienna. The delegates have spent the day getting to know each other before getting down to the business of MGE 2014. While Europe is diverse and some countries still have a way to go in terms of human rights, they learned from the African Director, Coenie Kukkuk, who is also one of this years judges, that things are much more dire in most African countries. While South Africa is liberal and has added gay rights to their constitution, going to a neighboring country can land you in jail just for having a boyfriend. After some thought provoking words from Mr Kukkuk, it was time for the delegates to find out exactly what their prizes would be and to share “a taste of their country” with each other. Sunday has an early start for the delegates and a late ending, making it one of the busiest days during their stay in Austria. Sightseeing with the press in tow, it’s bound to be an interesting day for everyone involved. hour walk with good footwear and a big bottle of water. Vienna in June, is after all, a very hot place to be. They tour started off at the Museum Quarter of Vienna, then went on to the Hofburgh and a visit to the historical Kaiserbruendel. The walking tour ended with a ride on the Riesenrad at the Wiener Prater. The day was rounded off with dinner at the famous vineyard Steinklammer. High resolution photos can be found on our Flickr account.